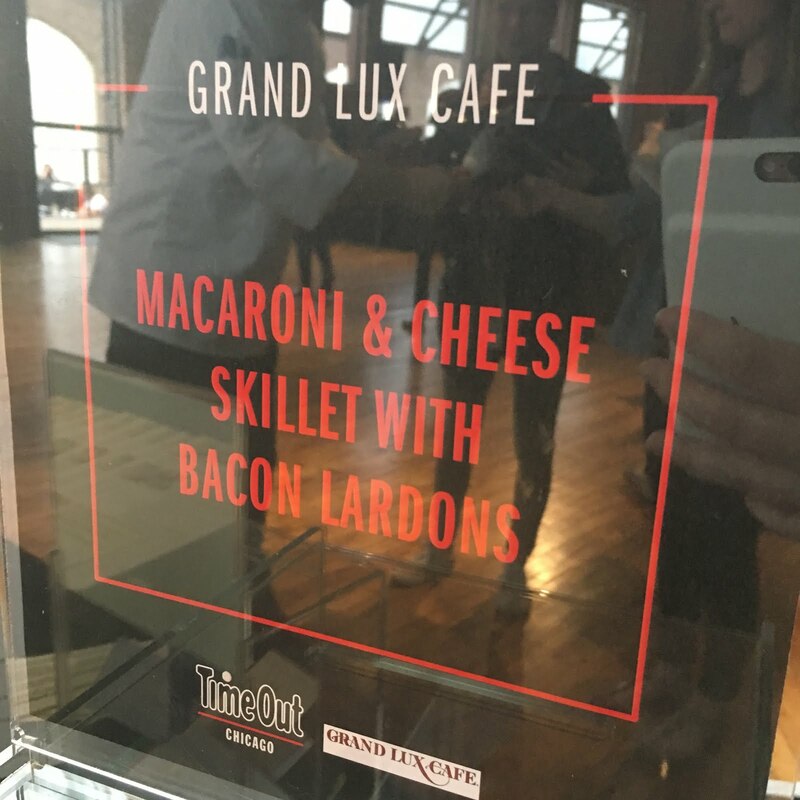 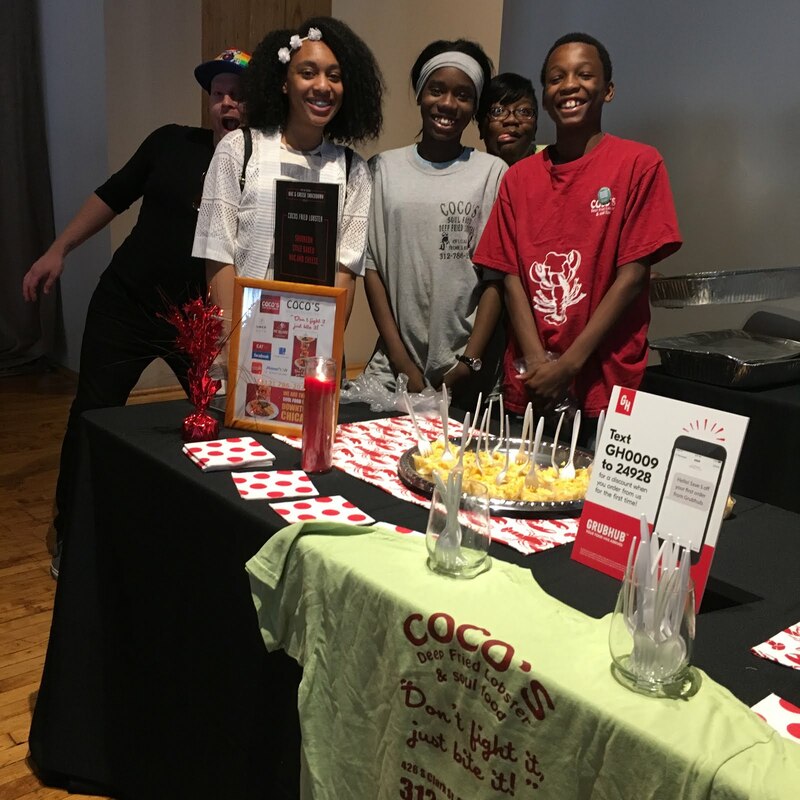 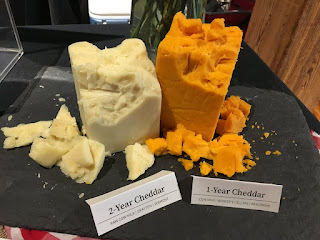 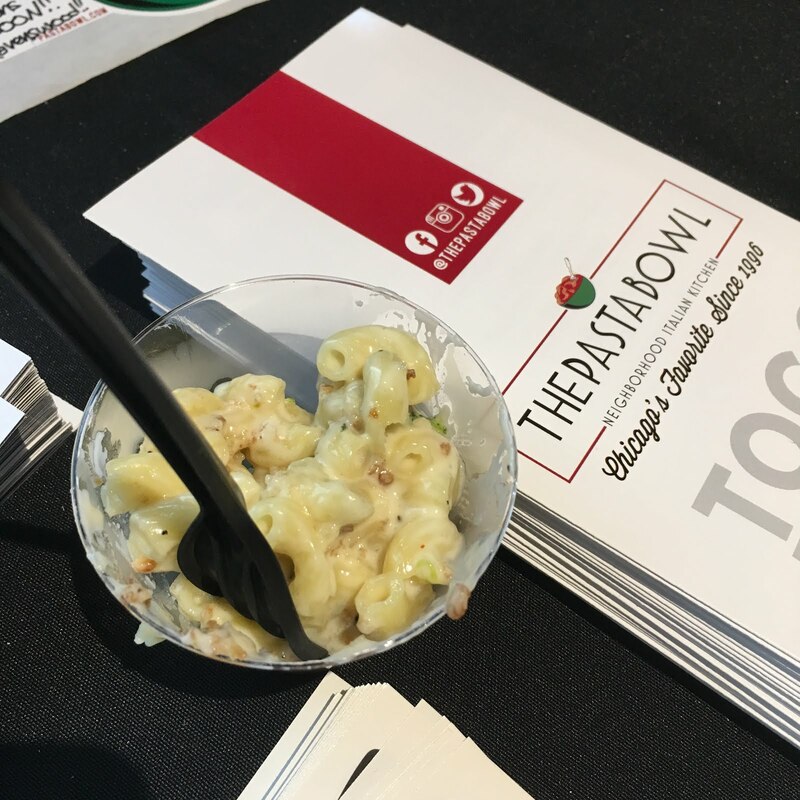 I make it to a lot of food and beverage events and fests throughout the year and one invitation that always gets me particularly excited is an event organized by Time Out Chicago. The events are so well-done and flow so well, I always know it's going to be a good time. 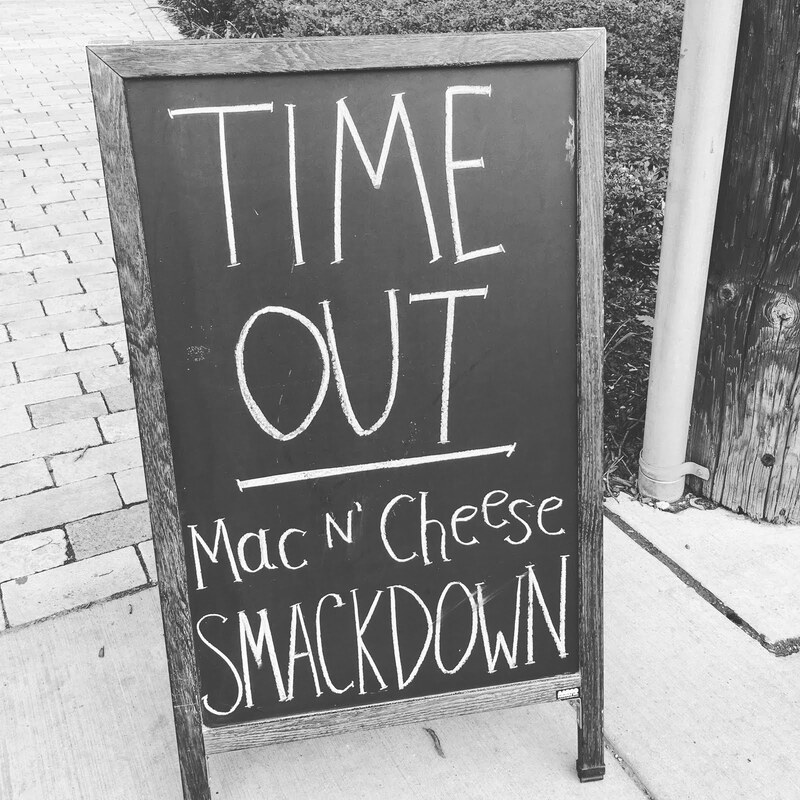 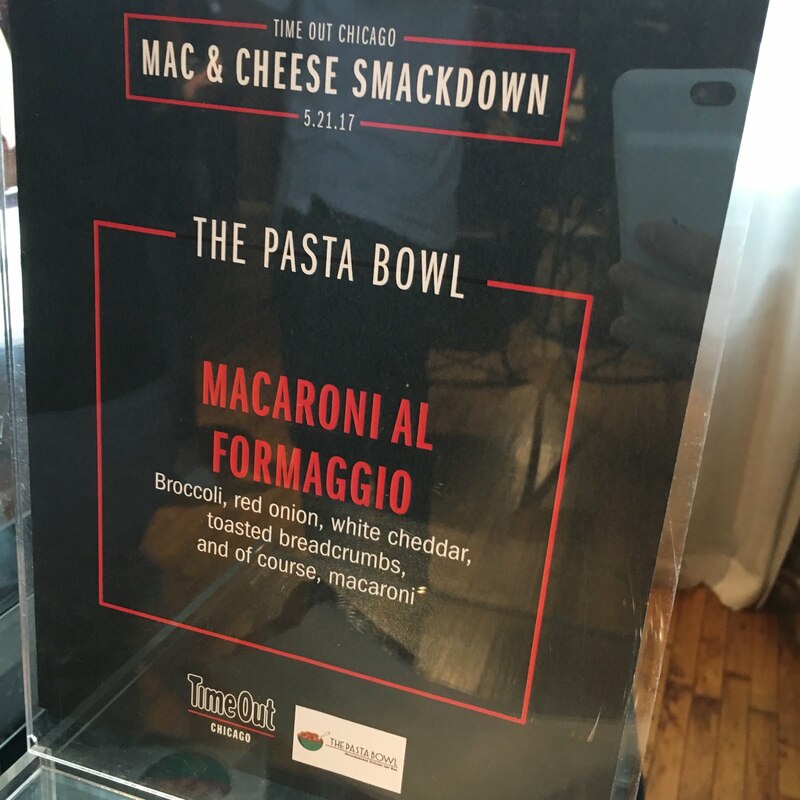 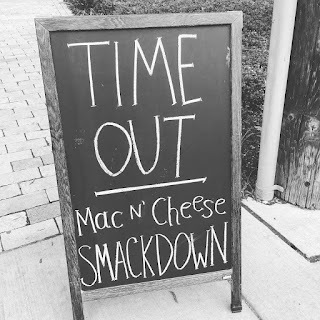 Last weekend I had the opportunity to attend the Mac & Cheese Smackdown on behalf of Chicago Foodie Sisters. 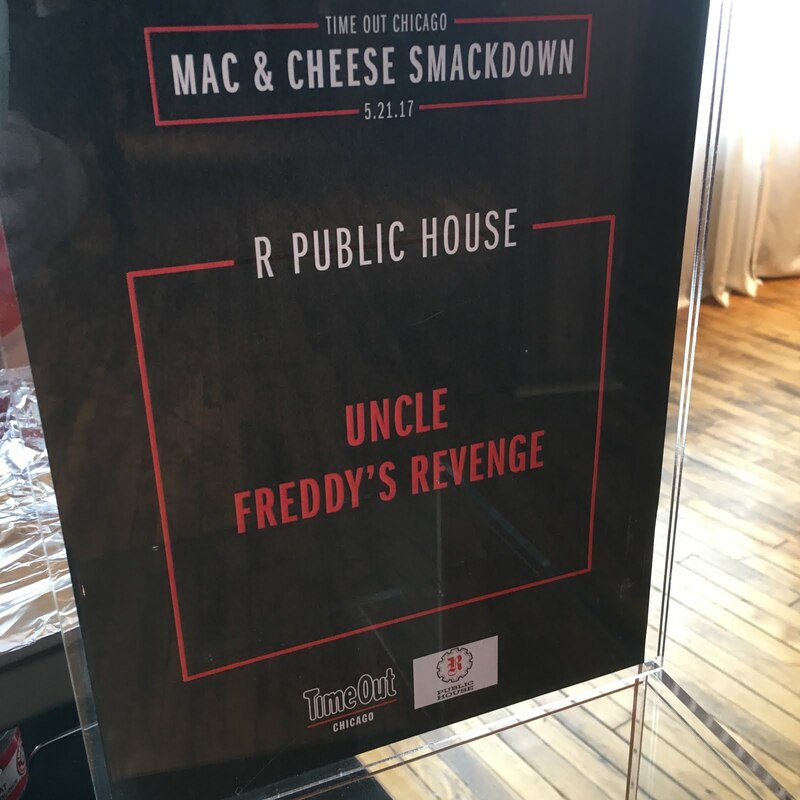 And yeah....they had me at Mac & Cheese. 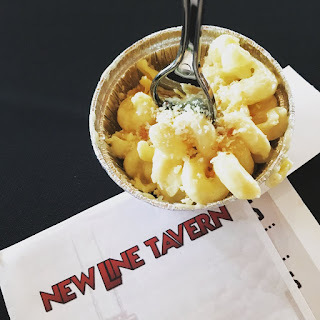 Who wouldn't love an afternoon of noshing on various versions of this ultimate comfort food made by creative chefs at some of the city's hottest dining spots. 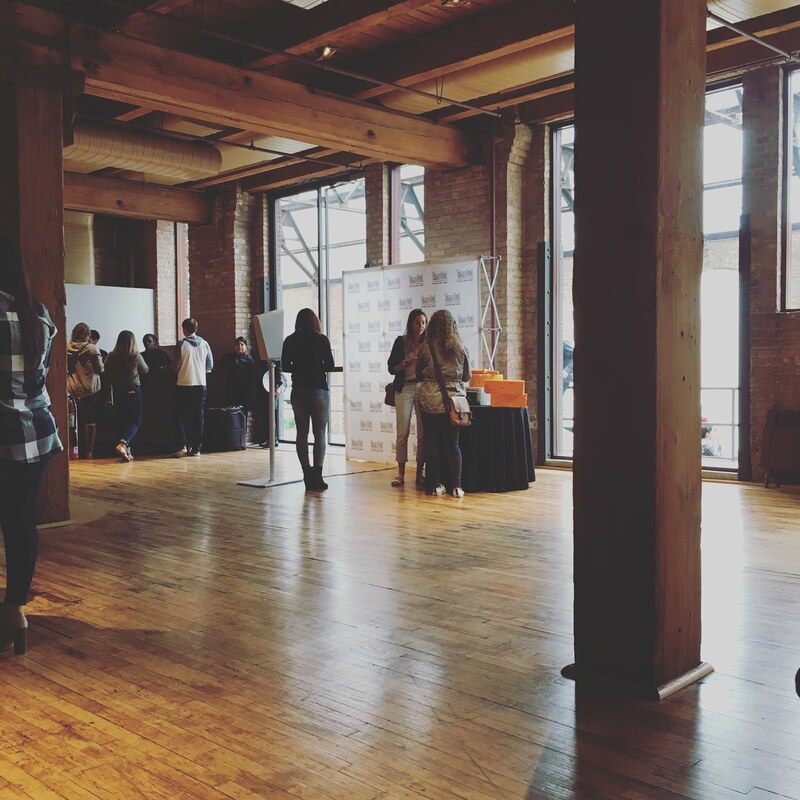 The event was held at the Bridgeport Art Center. 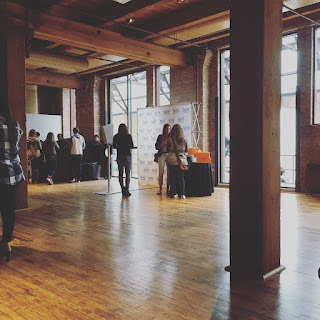 I love that these events are often held at smaller venues in some of the less-traveled culinary corridors. 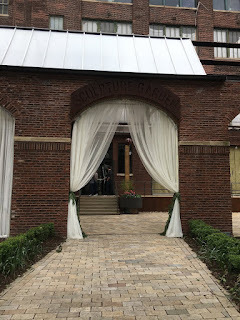 This beautiful and historic venue just a mile or two west of Guaranteed Rate Field provided a lovely spot to eat and drink and mingle. It was a mild and sunny day so many of the attendees made their way out onto the patio to enjoy the nice weather. 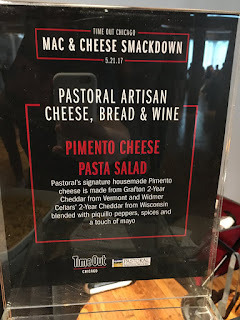 There was some really stiff competition among the eight entries and there was not one dish I wouldn't gladly gobble up again in a minute. 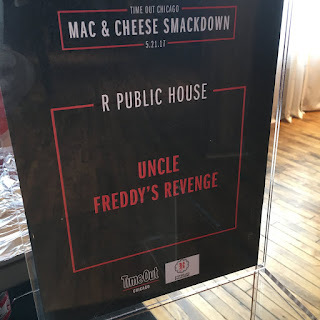 One of my faves was the Uncle Freddy's Revenge from R Public House in Rogers Park - a carbonara version with peas or prosciutto with pasta covered in a creamy cheese sauce and topped with toasty bread crumbs. 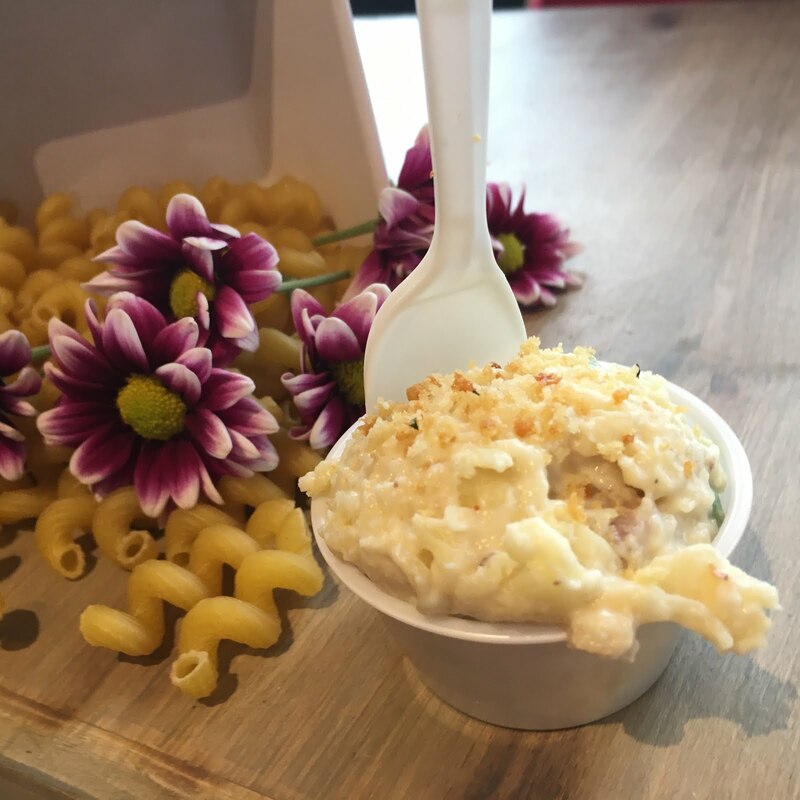 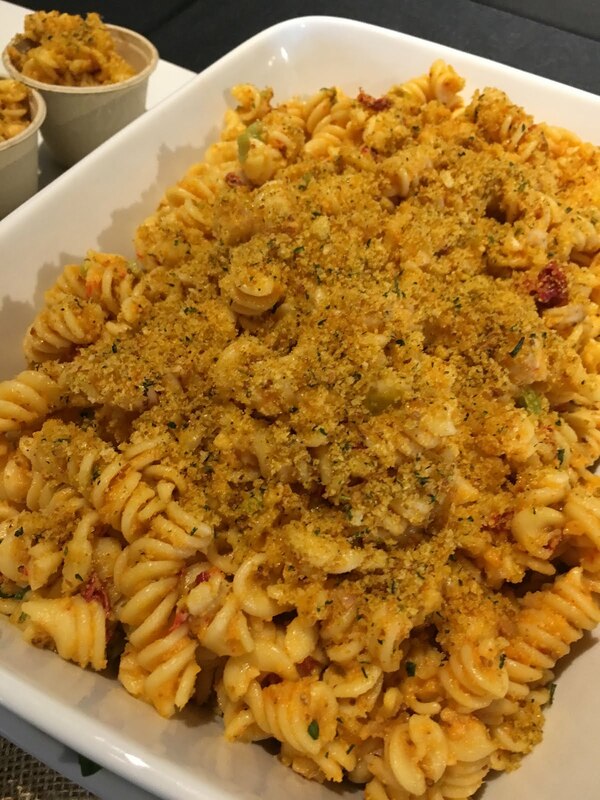 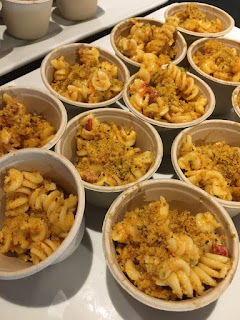 The Pasta Bowl, with locations in Wicker Park and Lincoln Park, had a scrumptious Macaroni Al Formaggio, which was covered in melted white cheddar and included broccoli and red onions with toasted bread crumbs. 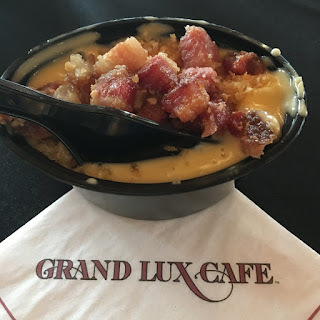 And you can never go wrong with Grand Lux Cafe - their chefs served up a Maroni and Cheese Skillet with Bacon Lardons. It was really rich and loaded with meat. A couple entries (CoCos Fried Lobster and New Line Tavern) were classic mac and cheese (I'm betting even better than your grandmother would make) and there was a cold mac and cheese salad from Pastoral. 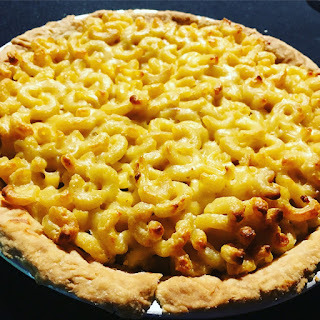 Old Town Social went more the dessert route - with a mac and cheese pie that had apples baked in and bacon. 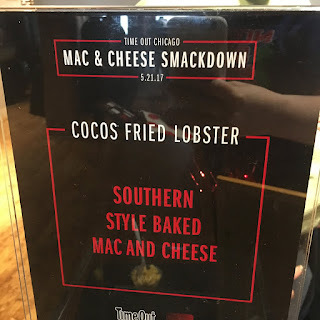 It was a surprisingly delicious combination. 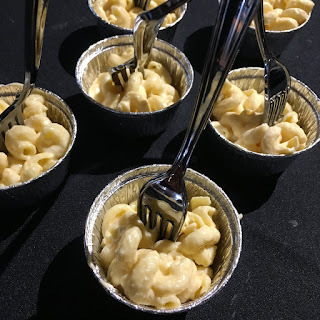 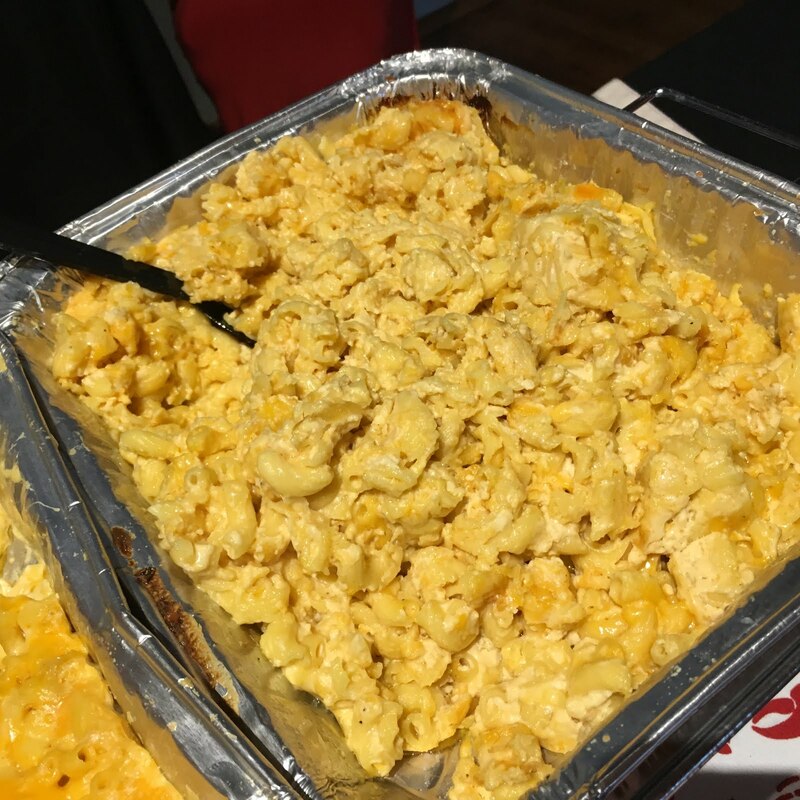 Coming out as winner was Luella's Southern Kitchen with an amazing big baked pan of goodness - their version was BBQ Brisket Mac and Cheese and had shells with a creamy white sauce that was out of this world. 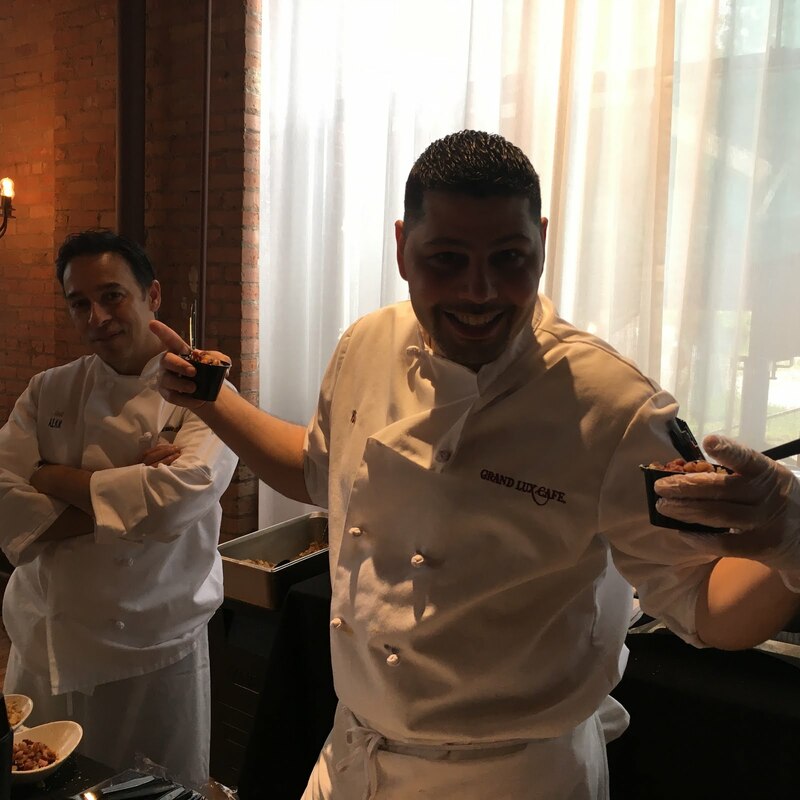 And that Chef Darnell has some nice pipes - I stopped up to grab my sample as he was singing and busting a move to Prince's Kiss. 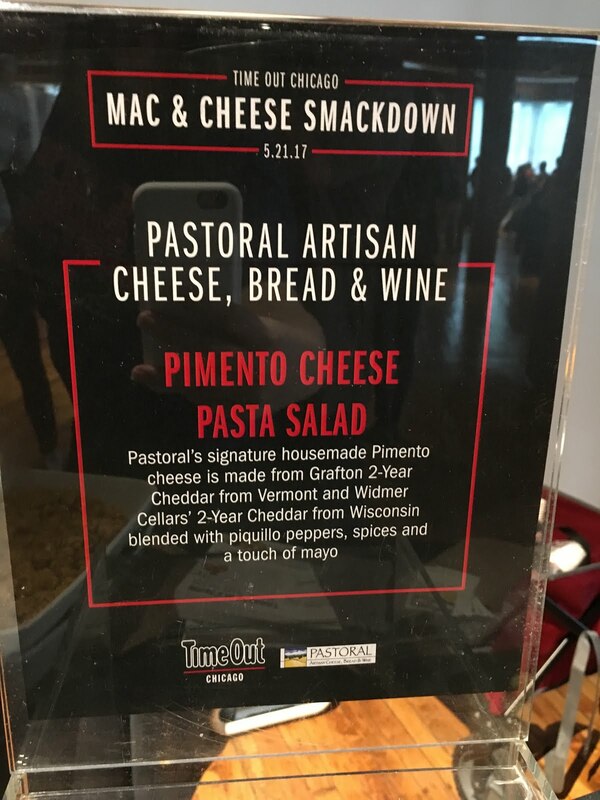 Congrats to Luella's Southern Kitchen on their win and until Mac and Cheese Smackdown 2018, I'll be dreaming of scoops of cheesy pasta. 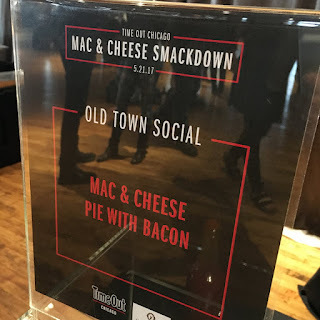 Be sure to follow Time Out Chicago on social media and at timeout.com/chicago to find out about upcoming foodie events.